"If you choose the quick and easy path, as Vader did, you will become an agent of evil." 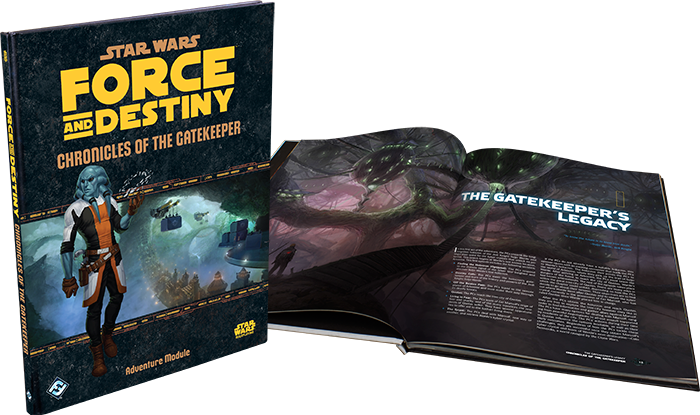 Fantasy Flight Games is proud to announce Chronicles of the Gatekeeper, an adventure supplement for the Star Wars®: Force and Destiny™ roleplaying game. It is a dark time for those strong in the Force. Lacking the Jedi Order to guide them, Force-sensitives wander the galaxy, persecuted by the Empire and vulnerable to the lure of the dark side, searching for the remnants of Jedi teaching that are scattered across the stars. 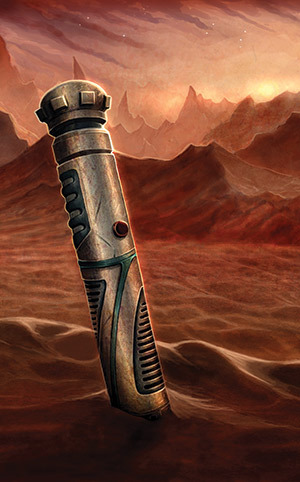 In Chronicles of the Gatekeeper, the holocron of a mysterious, vanished Jedi Knight surfaces. Its Gatekeeper offers to instruct you in an incredible Force power, if you’re willing to follow where the holocron leads. But great power is always a double-edged blade, and this power is great enough to corrupt even the most stalwart soul. This 96-page, beautifully illustrated book introduces locations throughout the Star Wars galaxy, a new playable species, and a wide range of adversaries from local matriarchs and Clone Wars-era droids to sadistic criminals and vicious wild beasts. Designed to be used with the Force and Destiny roleplaying game, Chronicles of the Gatekeeper can also easily be integrated into an Age of Rebellion™ or Edge of the Empire™ campaign so that players can explore the theme of the Force, or so that Force-sensitive characters can develop their abilities. Chronicles of the Gatekeeper launches players on an interstellar quest with the promise of being able to see into the future and predict not only events, but even the specific actions and decisions of other sentients. But throughout the adventure you encounter the dark shadows of the past. 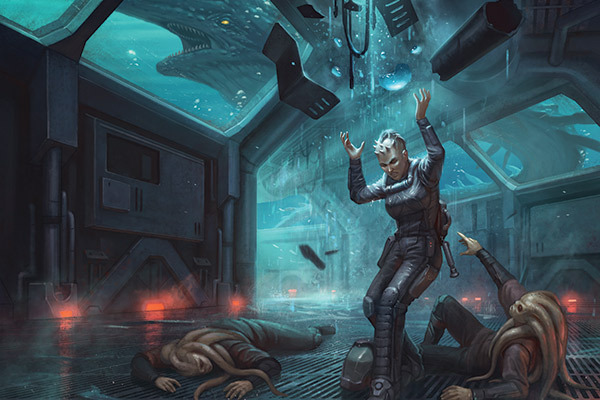 You may visit a derelict and remote Jedi sanctuary, abandoned for decades and flooded with seawater. A man given temporary power in the time of the Republic eventually oppressed and harmed the people he was meant to protect, so that they still live in fear. A once lush and verdant planet is now devoid of life and natural resources, permanently ravaged by millennia of reckless consumption and ruthless destruction. You will also encounter the lingering traces of the Clone Wars. A city that was hotly contested during those years still bears battle scars. The districts that saw the worst fighting are now abandoned and left to ruin. Aging Clone Troopers who once fought alongside Jedi now serve the Empire. 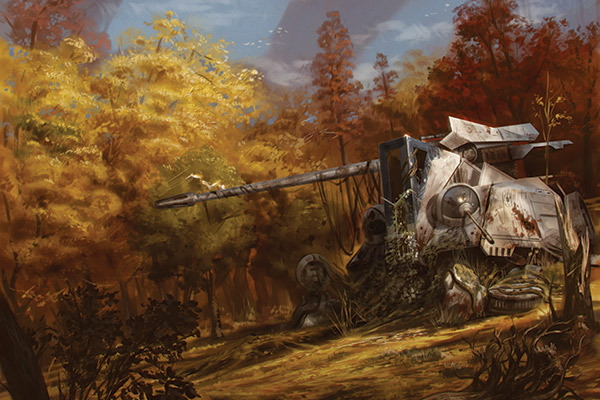 Battle droids and armored droidekas from the Clone Wars are still operational and still lethal, able to unleash tremendous salvos of blaster fire and instantaneously deal critical hits at long range. Supremely well-aimed shots and masterful lightsaber work are the only ways to defeat these deadly machines. As Force users traveling in areas under Imperial control at a time when Jedi are outlawed, you are in ever-present danger. If your powers are discovered by the Empire, you’ll face death, imprisonment, or something even worse. Your interest in a powerful Jedi master is certain to create suspicion. You and your companions may want to be very careful about where and when you’ll openly use your Force powers, and who you reveal your true identities and aims to. The sentients you meet may be afraid of anything to do with the Force, and anyone could turn you in to Imperial authorities. Yet the choices you make in this perilous and secretive quest to solve the holocron’s unfolding mysteries will affect numerous innocent lives – and profoundly alter your destiny. Do you allow a cruel and selfish ruler to remain in power, or do you depose him and create a dangerous power vacuum? Do you engaging open war against a dangerous criminal cartel, or maintain a low profile and focus on your own goals? The tragedies and conflicts that you encounter over the course of the adventure will regularly test your commitment to the light side – and your actions may pull you towards the dark side despite your best intentions. Within the pages of Chronicles of the Gatekeeper, Game Masters will find thorough descriptions of locations and adversaries, alongside suggestions for optional encounters and knight-level play, in which characters begin the game with advanced Force powers and skills. There's also plenty of support for navigating the characters’ growing ability to foresee future events and the future actions of NPCs. For players and Game Masters alike, Chronicles of the Gatekeper offers new challenges and several sessions of thrilling adventure. Chronicles of the Gatekeeper will be available in the third quarter of 2015. Meanwhile, visit the websites for Force and Destiny and the Force and Destiny Beginner Game to learn more about what the future holds. The struggle to restore balance to the Force takes center stage in the Star Wars®: Force and Destiny™ roleplaying game. As a powerful Force-sensitive, you'll take on epic adventures, perform extraordinary deeds, and battle against the temptations of the dark side. You may strive to bring justice to the galaxy, search for the lost remnants of the Jedi Order, or wield a lightsaber for the Rebel Alliance as you follow your destiny.